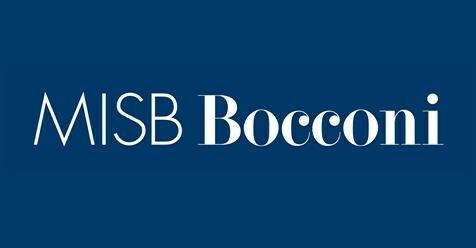 MISB Bocconi Admission 2018 –MISB Bocconi is going to conduct Bocconi Entrance Test (BET). Entrance exams such as CAT, GMAT, GRE, CMAT, XAT are also be accepted for admission. A notifiction regarding admission and entrance test has come from the MISB Bocconi, a premier management school which is under the Università Bocconi. Here all the information regarding Bocconi Entrance Test (BET) 2018 is available which includes MISB Bocconi Admission, important dates, eligibility, dates, application form, admit card, result. Online Application Form of Bocconi Entrance Test (BET) 2018 – MISB Bocconi Admission is now available on the official website. Candidates are requested to read the eligibility criteria and other details before submitting the application form carefully. Step 2: Complete the form, Upload the available documents and Submit it. Degree Certificate – If available at the time of submission. Entrance Test Score Card – Not applicable if you are taking Bocconi Test. All applicants are required to appear for CAT/GMAT/GRE/CMAT/NMAT by GMAC or Bocconi Test before submission of application, in a particular round. Please fill in all the details when you start the application and plug your scores once you receive the same. Application for Round 1 will be accepted with CAT 2016/CMAT 2017/GMAT & GRE appeared on or after 1st September 2015/ Bocconi Test appeared post-August 2017. Candidate can opt to attempt the Bocconi test by submitting the PGPB 2018-20 online application form by opting in for the same in the PGPB 2018-20 Online Application and attempt the test after the submission of your application. Application for Round 1 will be accepted with CAT 2016/ NMAT 2016/2017 / CMAT 2017/GMAT & GRE appeared on or after 1st September 2015/ Bocconi Test appeared post-August 2017. Candidate can opt to attempt the Bocconi test in the PGPB 2018-20 online application form. Admissions team will get in touch post submission of application. All applicants should have a Bachelor’s degree (Or should be currently in their Final Year) in any discipline from a recognized institution. Academic Abilities: Candidates with a consistent academic background and a demonstrated ability to sustain pressure have an advantage in the selection process. 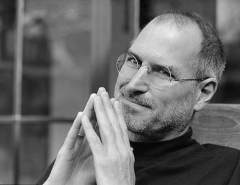 Soft skills and talents, such as enthusiasm, ability to listen, concentration, involvement, responsibility, motivation to grow as a manager and a person is critical for selection; it is meant not only to determine if the candidates are suitable for the program, but also whether the program will meet each candidate’s expectations and career goals. Test Scores: Applicants must also score well on admission test scores (CAT, GMAT, GRE, NMAT by GMAC, CMAT or Bocconi test).Please Note: MISB Bocconi does not indicate any “cut off” restriction; a high test score is definitely helpful, but – for instance – an average score could be compensated by the candidate’s excellence in other areas. Extra-Curricular: Management experience, leadership potential, entrepreneurial experience, communication skills, creativity and involvement in community and extracurricular activities are additional considerations. *Taxes and cesses shall be payable as per the rates applicable at the time of payment. # The above fee is paid in installments. Details are shared with the offer letter for the selected candidates. The fees include most teaching material (some texts must be purchased separately). Accommodation and Milan expense is separate. The accommodation fee is in addition to the above and is available on first come first serve basis due to limited space. These will be shared apartments near the college. No additional tuition fees are requested. Housing : Approx. 600-800 Euros Housing. Public transportation : a monthly pass is approx 22 Euro for students (under 26 years) or approx 35 Euro for students over 26 years of age. Students are compulsorily required to have their own laptop. Certain non-academic aspects like catering are outsourced at the discretion of the Institution and the related charges are paid to the respective service providers directly by the students. Disputes whatsoever arising, if any, with the Institution / Service provider as the case may be will be subject to jurisdiction of courts in Mumbai only.